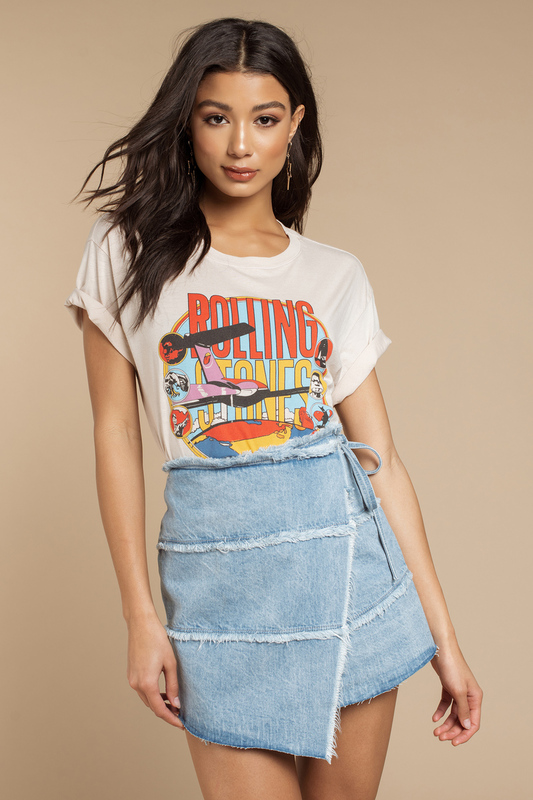 Check out Tobi's Topsail High Rise Exposed Seams Wrap Skirt Stand out at your next festival with the Topsail High Rise Exposed Seams Light Wash Wrap Skirt. 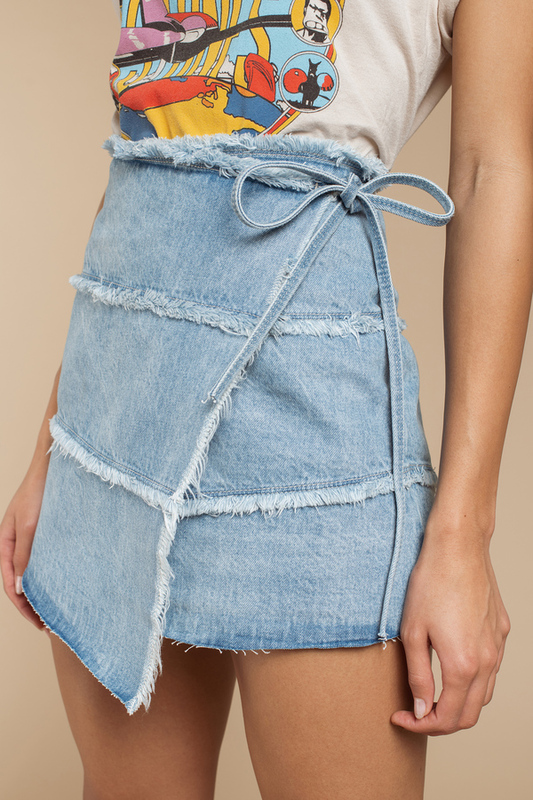 This cute wrap skirt features exposed seams, frayed hem pattern throughout, and a wrap closure on a structured denim weave. 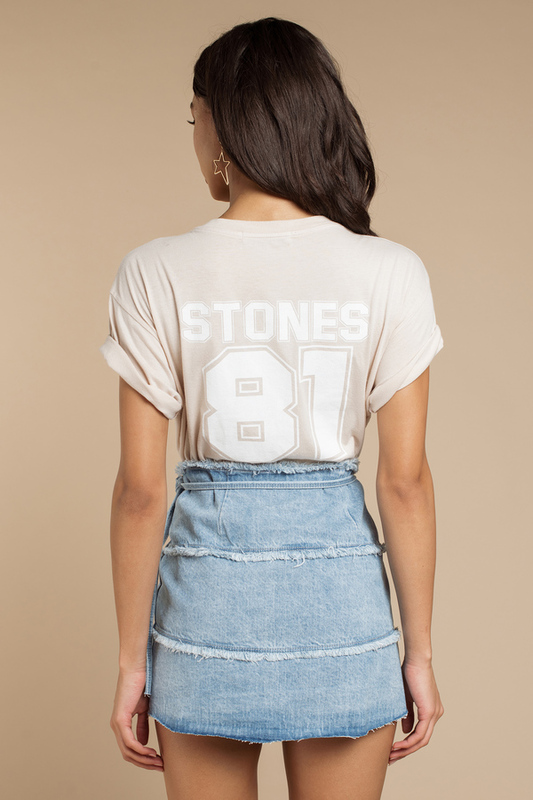 Grab your favorite crop top and hit the crowds with this distressed denim skirt. Stand out at your next festival with the Topsail High Rise Exposed Seams Light Wash Wrap Skirt. This cute wrap skirt features exposed seams, frayed hem pattern throughout, and a wrap closure on a structured denim weave. Grab your favorite crop top and hit the crowds with this distressed denim skirt.